New study finds that ReadyRosie's combined approach increases parent learning! The latest research is in! ReadyRosie continues to grow its research base and findings. Why implement ReadyRosie as your parenting curriculum and/or family engagement strategy? ReadyRosie is PROVEN to positively impact parent behavior and attitude and, ultimately, child outcomes. ReadyRosie is the ONLY parenting curriculum that combines a LIVE workshop experience with a DIGITAL/ MOBILE home learning solution to reach ALL families. ReadyRosie is based on peer to peer modeling in multiple languages to model strategies and support ALL families. Is based on solid theory and practice research about parenting concepts and skills, and the influence of parenting on child development, behavior, learning, and/or well-being. Research from the Five Protective Factors, Family Assets Framework, and Developmental Assets are interwoven throughout the ReadyRosie workshops, videos, communication platform, and professional development. See the complete ReadyRosie research-base here. Is based on and encourages the use of adult learning strategies and activities that have shown through research to have positive effects on adult change in attitudes and practices. The ReadyRosie video modeling, family workshops, and professional development opportunities are all based on adult learning strategies that are described in the ReadyRosie Parenting Curriculum Manual. Is based on solid theory and practice research about the relationship of parenting concepts and skills to child developmental and well-being outcomes. ReadyRosie applies research around parenting concepts that incorporate social emotional development, growth mindset, and developmentally appropriate practices. Learn more here. Has a descriptive evaluation of the curriculum that includes a formal report. This report may or may not be published in a peer-reviewed journal. See reports here, as well as the most recent report here. The report should contain information about how the curriculum can make a difference in parents’ experience and parenting attitudes and practice. See the latest evaluation from University of Pittsburgh here. The report may also include information about how the curriculum may influence children’s development, learning, and well-being. 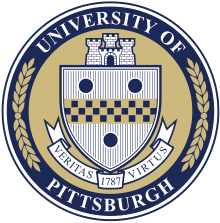 See the latest evaluation from University of Pittsburgh here. We put all of this information together into this official letter for Head Start programs. Additionally, you can see ReadyRosie’s response to the Office of Head Start’s Parenting Curriculum Checklist. The future of parenting curriculum is here. Join the ReadyRosie movement to support ALL children and families.